Trillers Hit A Home Run With First-Ever Music Video For "Haze"
The Trillers may be new to music videos, but their first one has us already thinking that they are seasoned vets. 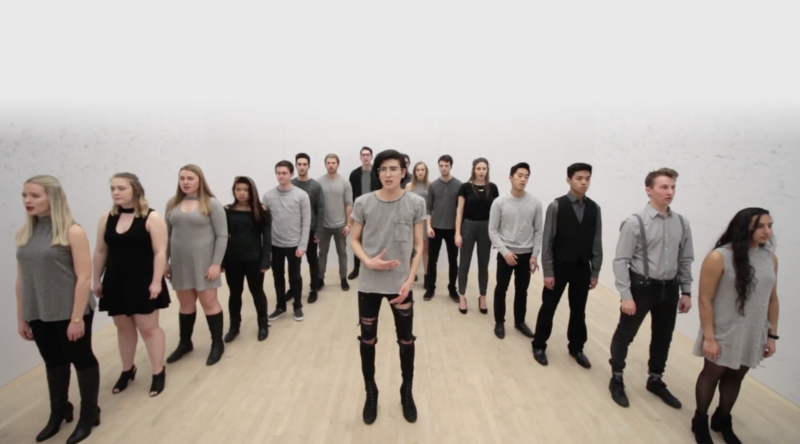 The coed a cappella group from Queen's University in Ontario has released a touching, poignant and simply mystifying cover video of Amber Run's "Haze" and it accomplishes so much conceptually and musically. While the video is more or less shots of the group in a singular formation, it's the closeups that really sell the emotion. Each expression, subtle grin and head nod does wonders in capturing the song's tone of sadness in a powerful way. The most compelling expressions are delivered by the group's lead vocalist Michiru Kawabata. Kawabata brings the song's emotions to life, selling it all with anguished and distressed vocals in the most beautiful and real way. And if this isn't enough, the Trillers more than back him up with some of the most striking and ear-catching chords we've been exposed to in quite some time. The atmosphere is quite ethereal and the Trillers' creation of it is almost otherworldly, having us believe that is almost too good to be true. And if you need even further convincing of how great of a cover the song is, know that original artist Amber Run gave a shoutout to the group on Twitter acknowledging the performance.